St. Mary's Church is proud of its long tradition of sacred music, alive and active well into its second century. Twenty-five singers of all ages, from middle school to retirement, sing each Sunday in St. Mary's Choir. The Schola Gregoriana of St. Mary's Church sing the Gregorian chants, integral to the Catholic liturgy for millenia, on a regular basis. 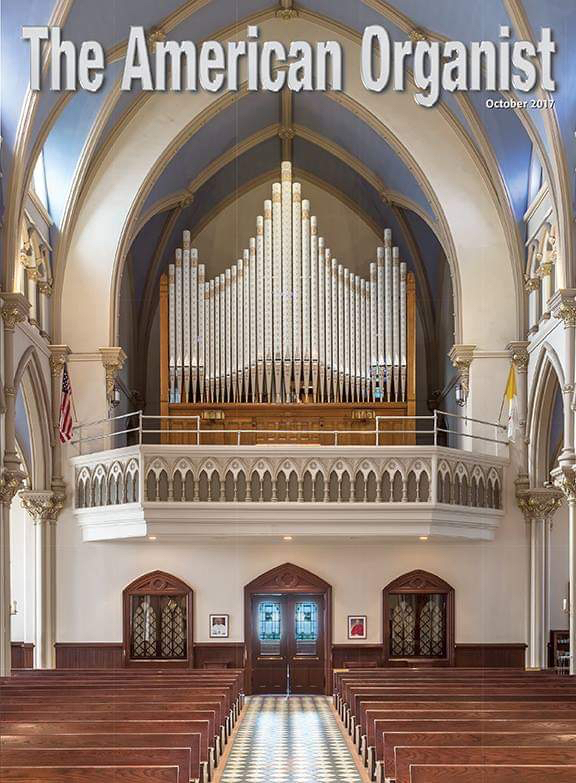 The newly-restored pipe organs ring out at every weekend Mass. Visiting choirs, orchestras, organists, and singers perform concerts of sacred and classical music throughout the year. At the Saturday 5:30 p.m. and Sunday 12 p.m. Mass, the congregation sing the Ordinary of the Mass (the Glory to God, Holy, Holy, and Lamb of God) and two hymns, with the accompaniment of the organ. The psalm and the alleluia are sung by a cantor, without accompaniment, as in the early Church. At the 7 a.m. Sunday Mass, there is no singing, but organ improvisations are played before the Gospel, during the Preparation of Gifts, and during the Communion, along with a prelude and postlude. The Sunday 9:45 a.m. Sung Mass with St. Mary's Choir is at the center of the parish's musical life; each week the choir sings two choral works by a range of composers from Palestrina to Paulus, sings the Psalm and Gospel Acclamation, and leads the singing of the congregation in the Ordinary of the Mass and two hymns. The choir thus lives out the words of the Second Vatican Council: “The musical tradition of the universal Church is a treasure of inestimable value, greater even than that of any other art. The main reason for this pre-eminence is that, as sacred song united to the words, it forms a necessary or integral part of the solemn liturgy.” Sacrosanctum Concilium, ¶112 Visitors should note that the texts and translations of the music sung by the choir, as well as the names of composers and sources of text, are always printed on the front page of the bulletin, in line with the Order of Mass. On Solemnities and Feasts which occur on Sundays, at Christmas, and in Holy Week, the Choir is joined by the Schola Gregoriana. This smaller ensemble studies and performs the Gregorian chants proper to each liturgical day: the Introit, Gradual (psalm), Alleluia, Offertory, and Communion antiphons. This music is a gift from our mothers and fathers in the faith, allowing us to worship God with the same words – and melodies –known to saints in the earliest days of the Church, and remains a vital component of the modern liturgy: “The Church acknowledges Gregorian chant as specially suited to the Roman liturgy: therefore, other things being equal, it should be given pride of place in liturgical services.” -Sacrosanctum Concilium, para. 116. On Holy Days of Obligation that fall on weekdays, a Sung Mass will be celebrated, most often at 7 p.m., at which the Schola will sing the proper chants, and a Gregorian setting of the Ordinary of the Mass will be sung in alternation by the Schola and Congregation. And, on certain Solemnities, for example, the Body and Blood of the Lord (Corpus Christi), or Christ the King, Vespers is chanted at 4 p.m. In the seasons of Advent and Lent, Compline is chanted in candlelight every Sunday night at 8 p.m. by the Schola Gregoriana, joined by members of St. Mary's Choir, and singers from neighboring parishes. Compline is preceded by an organ recital on the 3rd Sunday of Advent and on the 4th Sunday of Lent. The Choir and Schola are always glad to welcome new members; those interested in singing should contact director Philip J. Fillion via email (link to email) or by phone: 315-252-9545. Prospective singers should bear in mind that participation in musical ensembles, like any other team, requires punctuality, discipline, and a commitment to continued learning. Previous experience is not necessary – but a willingness to study and practice outside of rehearsal is required for success. For those interested in joining the Schola, instruction in the notation used for chant can be provided, as needed. The Choir rehearses from 7:00-8:30 p.m. Wednesday evenings in the church, and from 9:00-9:30 prior to the Sunday 9:45 Mass. The Schola rehearses from 8:45-9:45 a.m. on Saturday mornings in the church, and prior to liturgies as needed. For information on upcoming choral music, concerts, or special liturgies, see our Facebook page, or consult the parish bulletin. 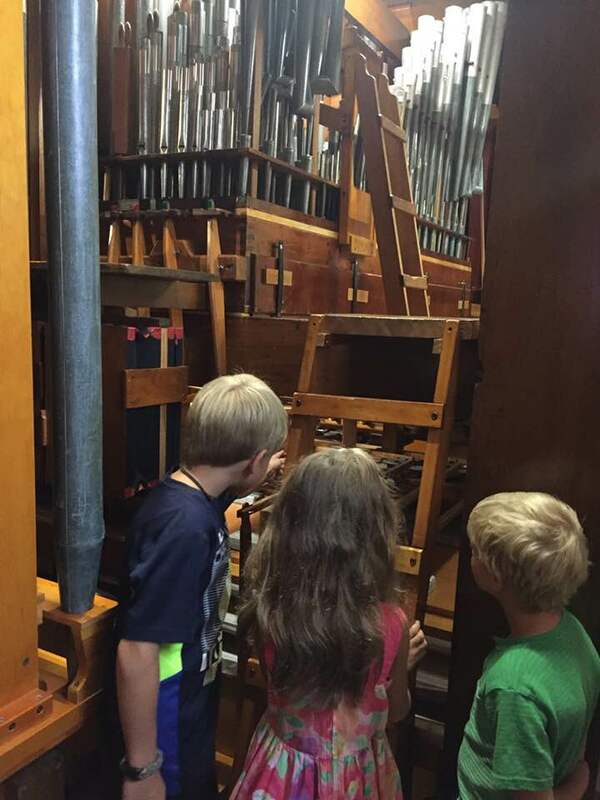 The history and specifications of the 1890 Barckhoff organ in the gallery and the 1872 House organ in the chancel can be found in this document. A summary of the history of music and musicians at St. Mary's can be found in this document. Gregorian: Hosanna filio David, Improperium expectavit cor meum, Pater si non potest. On Palm Sunday & Easter Sunday, complete texts of all music sung are printed in the Sunday bulletin. During the Sacred Paschal Triduum, leaflets with the texts will be available at each of the entrances to the church. This weekend is the 5th Sunday of Lent, when we read the Gospel account of Jesus’ compassion for the woman about to be stoned to death for adultery. The choir will sing two expressive motets, portraying the emotions this story might raise in us: praise of a God who rescues those who have been ensnared in diverse ways, and hope that this God will pay attention to us in our time of need. On this Laetare Sunday, as the vestments change to a brighter, lighter color, St. Mary's Schola Gregoriana joins the choir at the 9:45 Mass, and the playing of the organ beyond the necessary support of singing is permitted. These small changes remind us of the full joy of Easter, now just three weeks away. And, an organ recital by Philip Fillion will precede Compline, at 7:30 pm. Choir and Schola of Saint Mary's Church, Auburn shared a post.